The Cuban Research Institute (CRI) is pleased to announce the appointment of Lisandra Cuesta Vasallo as Visiting Scholar during the spring semester of the academic year 2016–17. She will conduct research on the graphic design of primary containers for Cuban rum, in comparison with similar marketing packages for Mexican tequila. During her research stay at CRI, Ms. Cuesta Vasallo will analyze the rum market, interview representatives of the graphic design industry, and develop a proposal for the graphic design of primary containers of rum. 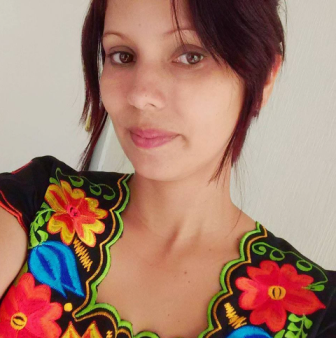 Lisandra Cuesta Vasallo is currently pursuing a master's degree in design at the Research Center on Architecture and Design of the Autonomous University of the State of Mexico in Toluca. She holds a bachelor's degree in graphic design from the Higher Institute of Design, specializing in information design, in Havana. She has worked in numerous areas of design, especially visual identity, web design, illustration, and graphic visualization. She has extensive professional experience designing posters, catalogues, postcards, and newsletters for various private businesses and public entities.